We are one of the leading manufacturers of hydraulic squeezing presses. These hydraulic squeezing presses are manufactured using the finest quality materials that are procured from the most reliable sources in the market. Our range of hydraulic squeezing presses are widely appreciated by our reputed clients for its superior quality and durability and is available at a competitive market price. 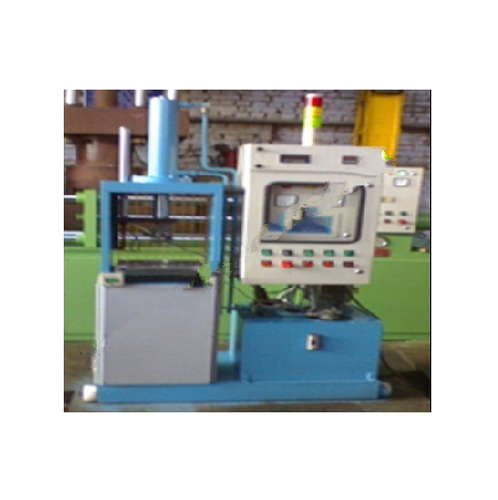 These hydraulic squeezing presses are custom made as per our clients specification. . The Press Is Available Up To 2000 Ton Capacity As Per The Customer Requirement. The Press Can Be Used For Squeezing / Powder Compacting / Briquitting Etc. The Press Can Be Manufactured As Per Customer Requirement. According To The Speed Of The Press, Motor H.P Can Be Changed. A) With Pressure Transmitter For Precise Pressure Sensing. B) With Load Cell & L.V.D.T For Precise Load & Stroke Control Sensing.